Steel is regarded as one of the world’s strongest building materials; To be specific, it easily withstands a strong environment and weather effects that can damage other structures. Another surprising trait it has is that it minimizes waste and saves energy. This makes steel the absolute best eco-friendly option to use as a building material, which we will explain more. Some of the steel’s great eco-friendly properties come from its exceptional durability; Its durability is important because it prevents homes and other structures from being abandoned and becoming waste. It’s also a great economic choice in general because of its durability, as it has unparalleled environmental resistance, large structural length, and low maintenance costs. Traditional homes with wooden frames, on the other hand, fail to meet the new eco-friendly and durable direction that the construction industry is heading towards. Cold-formed steel specifically is recognized in every green building and eco-friendly rating program. This shows that it’s well positioned to meet even the highest standards of sustainability in the construction industry; In fact, programs like LEED, or the Leadership in Energy and Environmental Design, program by the US’s Green Building Council and the National Green Building Standard program strongly recommend it as an eco-friendly building material. Steel is a material that allows multiple opportunities for recycling; Specifically, it can be recycled into new studs, joints and other components that are used in the building of new architecture. Its value as a recyclable material also lies in the fact that it’s the only material that holds an automatic default value, showing that it’s significantly more sustainable than other materials. There is also little to no waste in the construction of steel buildings, as each piece of steel is specifically manufactured, engineered and delivered with the purpose of fitting a specific structure. To put it simply, it’s custom designed to fit a building’s structure, which means that there is no “waste” being produced onsite from the steel. Steel is simply one of the most reusable and recyclable materials available in the construction industry. This comes from the fact that its strength does not creep, buckle and/or “wear down”; It offers huge opportunities for re-purposing as well, as any piece of steel can easily be reused in different projects and situations. Lastly, it’s 98% recyclable, which makes it the embodiment of eco-friendly construction materials whenever and wherever it is used. We really can’t stop singing the praises of steel as a building material and its strength is truly what allows it to be a great eco-friendly option, similar to an eco-friendly cleaning service. In fact, its strength allows for your home to support massive layers of insulation without compromising its structural integrity. Thicker insulation means that your home won’t lose as much heating or cooling from your house’s heating/cooling systems, which will cause your energy bill to plummet. Placing more insulation in steel homes also allows you to set your home’s temperature to a lower level, as you’ll no longer have to account for heat loss through-out the home. Some estimates even state that steel homeowners are paying at least 30% less on their energy bills compared to traditional homeowners. Maybe 30% less on your energy bill doesn’t sound like enough though, well, what if we told you that even more savings are possible? Steel homes offer greater support for solar panels when compared to other homes built with different materials, as their strength can easily support the weight of one or multiple solar panels. To make it even better, solar panels greatly increase the value of your home while also significantly reducing, and in some cases even eliminating, an expensive energy bill, as you will be producing your own energy and you’ll be entirely self-sustainable. Investing in a solar panel is just a great option overall, this is because the average return on investment for solar panels is at least 15%; That percentage is also expected to go up, as energy is continuing to grow in price while solar panels have consistently low maintenance costs and little to no energy costs involved. Having a solar panel also means that you’ll always feel secure knowing that your home can sustain its energy needs indefinitely. Again, the durability and resistance of steel cannot be understated, as that is its greatest strength. In fact, steel is completely resistant to mold and it cannot grow at all in a steel home; Its inability to produce mold comes from the fact that steel cannot absorb moisture. This means that a steel home won’t need any treatments to resist mold, insect infestation or decay. Snowstorms, earthquakes, and floods are no match for steel either. Steel homes can completely resist earthquakes of magnitudes up to 7.9. Steel can also be purposed to be completely resistant to floods in certain designs. Lastly, steel structures won’t collapse under massive amounts of snow, as they can hold large amounts of weight. Steel is the ultimate eco-friendly building material as it’s unmatched in its support for energy-saving materials and its recyclability. If you want to learn more about the eco-friendly properties of steel homes or purchase steel construction materials, check out FedSteel’s blog post on the topic. Can you think of your kitchen without a proper backsplash? 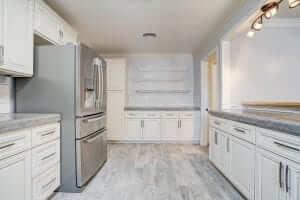 It’s no less than a decade now that it has become one of the integral parts of any kitchen remodel. Apart from just protecting the walls, present above the work area, backsplash acts as a fine complement for the countertop. 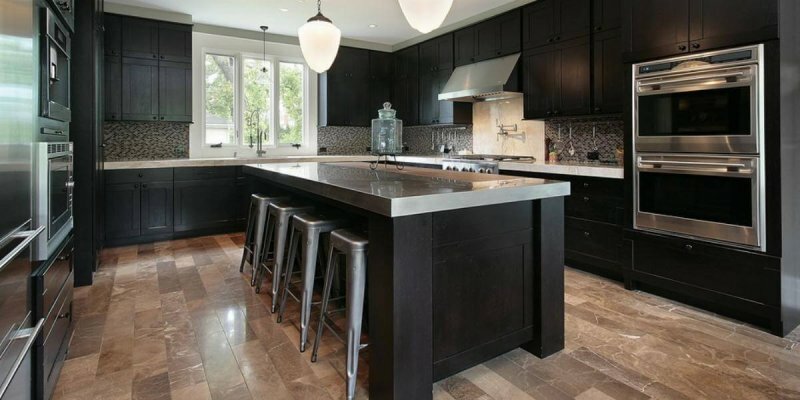 Moreover, over a period of time, the design and look of backsplashes have come a long way. In the early years, it was all about some colorful types with fruit and vegetable graphics adorning the 4×4 ceramic tiles. However, the scenario has changed up to a great extent. The year 2019 has gifted us with an amazing luxury to install a myriad of materials like glass, mirror, natural stone, metal, brick, and so on. Backsplash design is becoming an even more unique and artful concept with each passing day. What are the current backsplash trends for your kitchen? 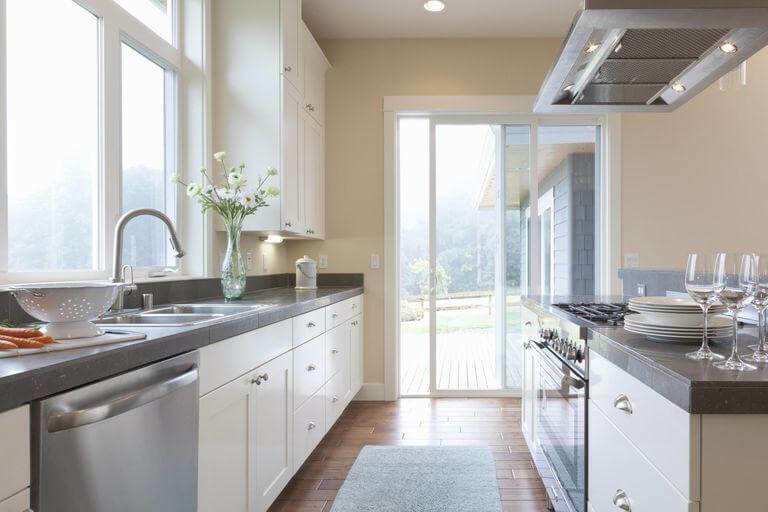 In 2019, it is no more about the old approach of placing the backsplash between the countertop and underside the wall cabinetry only. Now, it is expected to be present throughout the kitchen wall. Higher backsplashes will amalgamate every nook and corner of the space while brightening it up with reflective qualities of the tiles that you’ve chosen. Especially, if you’ve opted for white subway tiles, it totally makes sense. The backsplashes up to the ceiling of your kitchen can give a fresh and modern look to the classic tile. Experts believe that this idea will let the largely patterned tile showcase itself as loud and vibrant. House owners are basically looking for a subtle look of their kitchen. That’s why mirrored and metallic finishes are on top this year. With such an amusing finish, the tiles in the backsplash will get a glossy look. Especially when struck by natural light, your backsplash will look commendable! As this trend reveals, decorating the kitchen with light will bring out the dramatic effect of the backsplash. Further, if you think that the glossiness is extremely high for you, go for a chic metallic finish. Just opt for the tiles which are finished by look and texture and definitely resemble real metals. With a metal finished backsplash, your kitchen will get the ultimate kind of ‘stout’ feel. Now that quartz countertops are neutral, you should no longer stick to the plain tile backsplash. In recent times, more and more homeowners are expecting a backsplash to totally turn heads. Many have already started to experiment with a number of tile patterns. The buzz in 2019 includes chevron, Moroccan fish scale, herringbone, laser cut, and many others. Moreover, the use of graphic print or large pattern tiles in vibrant and bold colors is one of the most remarkable types. With such oversized patterns, your kitchen can liven up altogether while making you totally proud. It is also very easy to clean. If you don’t want to do, you can always hire a kitchen cleaning service. You might have been used to neutral colors like white, grey etc. for the kitchen backsplash but now you can go for any prominent color that you want. In 2019, backsplashes have come up with a lot more vibrancy. 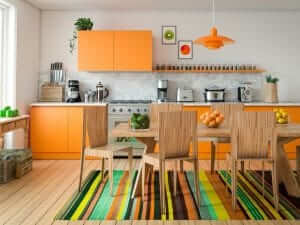 Whether it is divine black, splashy yellow, blood red or anything that goes as per the design, all are highly trending. Through an interesting pop of color in your kitchen, the backsplash can introduce your personal style even. 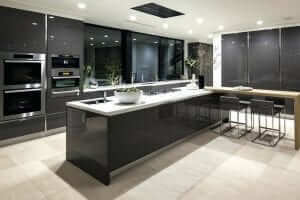 For example, if you want to depict a luxurious ambiance, you can opt for either black or chocolaty grey shades. With the contrast of the colors of nearby cabinetry, shelves etc., there will be an opulent and desired drama within. Backsplashes had been all about tile. Whether ceramic, porcelain or natural stone, we had seen all the forms. However, people are preferring something different now. The slab has come up as a new concept in 2019. It’s not like tile. Rather, you can find some continuous piece with a few breaks in the case of a slab. People nowadays prefer one large slab stretching the entire backsplash area instead of a number of individual small tiles. In this context, marble and marble based slabs have become very common. More and more house-owners are getting enticed with the pure beauty, extraordinary variation, aesthetic appeal, and subtle shades of marbles. 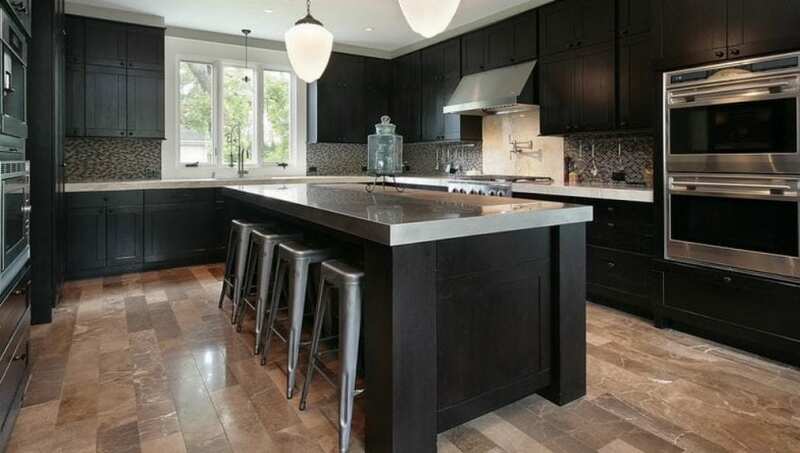 Interestingly, any design on the surface can become the center of attraction when it is a one large slab backsplash. Aren’t these backsplash trends invigorating enough? 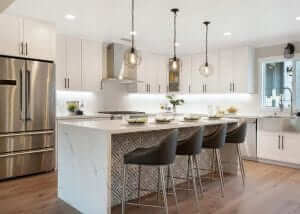 If you’ve not upgraded your kitchen till now with the recent styles of backsplash yet, it’s time to make a move soon. Finally, you’ll end up having a fabulous place to cook your food daily. Also, your kitchen will end up being one of the neatest and tidiest places all the time. In order to meet the stiff competition, almost all business owners prefer to cut their cost from every sphere. Therefore, choosing the most affordable toner becomes a part of their effective strategies. Because toner is one of the most used items for printing and its acquiring cost is almost equal to the half of the printer price. This makes every business entrepreneur worried and they always found in search of heavy discounts and sales from various retails and web stores. The search for the relevant brand is one of the important steps for choosing your toner cartridge. As there are numbers of brands in the market that delivers almost the same product. But, they all are differentiated from their print quality. Therefore, you must check your toner from all the parameters, as once you open and install the cartridge it won’t be return or replace. On the online platforms, there are various brands that offer inexpensive and good quality toners. So, before making any decision you must check the company’s authenticity. Whether they are reliable or not, and how far they are in the same business. As longer the company age, the more chances of their good product quality. Online reviews, comment, and rating represent the company’s image. Today, people are tech-savvy and they do not feel hesitate to write good or bad comments. So, from the online review, you can take help with the product quality and prices. For example, if you look at Maid Sailors reviews, you will see they have a stellar reputation. But remember, don’t go with single review read as many as possible before deciding to buy. On online and offline purchase many sellers provide their special coupons in order to boost their sales. On online stores, you can easily check special offers by adding your coupons any time. Whereas for offline offers you have to wait for festivals seasons as many sellers offer a special discount on their products during weekends or on special occasions. So, if you have enough toner in your stock then you must wait till their offline offers, otherwise, going for online can be a good decision. Buying a product in bulk is always considered as a good option. 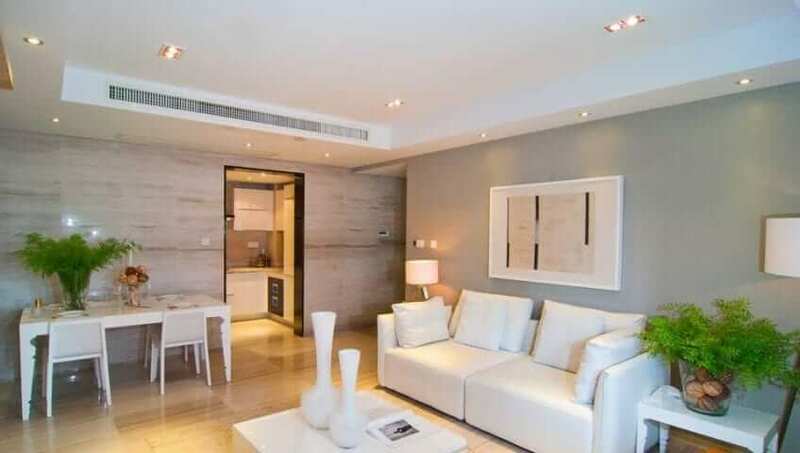 As it will help you to acquire more unit at a time and the seller able to give you a good discount on it. People also choose the refilling option and buy toner by bulk from the seller. This can easily save their many bucks. 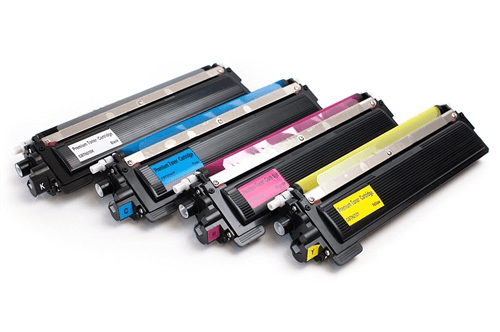 Many buyers prefer to buy toner from online stores. Therefore, if you are also choosing this option, remember, complete your order from the seller that can deliver your fast. Many sellers can deliver the goods overnight with little extra shipping charges. You should go for an urgent delivery option only if you have no toner in your stock. Check for “business equipment are on sale” board. This usually applies to the retail and does not hurt if you ask them for printing supplies. Pay special attention to the news segments. As they keep on guiding their audience for the shutting down unit. So, you can also approach them for printing devices. Auctions are the most common way, where you can participate and get your desired equipment including printing supplies. In order to raise money for school events, most of the school prefer to auction their old equipment. So, you must check local news and listings for such events. If the school will be going to move or close. Hope, the above-mentioned points help you to find the most affordable toner cartridge for your business. Remember, quality of printout is always essential for making business reports more presentable, so, never sacrifice your business reputation for saving only a few dollars. Therefore, experts always suggest for choosing the original brands only. Jack William is a marketing specialist from Wellington, New Zealand. He works as a Digital Marketer for Printzone, which is the biggest warehouse of Printer Cartridges. 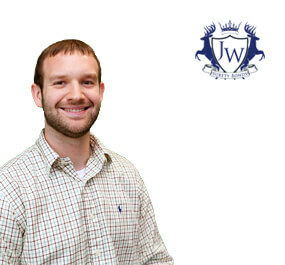 He also writes articles on technology and business for several online magazines and websites. When you shop for soap, you’ve probably noticed that some hand soap is labeled as “antibacterial,” whereas some are not. Have you ever wondered about the differences between regular soap and antibacterial soap? Both can be used to effectively wash and disinfect your hands (as well as other surfaces), but there are actually some notable differences between these two types of soap in terms of the ingredients they contain and how they work. By having a better understanding of the differences between antibacterial soap and regular soap, as well as some of the potential advantages and disadvantages of using each, you can ultimately decide which is best for you and your home. Antibacterial vs. Regular Soap: What’s The Difference? Let’s begin with a comparison of antibacterial soap and regular soap, including its ingredients. When you shop for soap at your local grocery store, you’ll probably find that the majority of the bottles you’ll see are labeled as being “antibacterial.” Specifically, what this means is that they contain an antibacterial ingredient—usually triclosan, but sometimes other ingredients such as alcohol or benzalkonium chloride. These ingredients, along with warm water and proper hand-washing techniques, are effective at killing off bacteria and other germs. It is worth noting that hand sanitizers are also made with these same antibacterial ingredients. Regular soap, on the other hand, does not contain any antibacterial ingredients, such as triclosan or benzalkonium chloride. Instead, the ingredients found in regular soaps are meant to cleanse by decreasing the surface tension of water and lifting residual dirt/oils from the surface being cleaned. This allows dirt, grime, and bacteria/germs to be easily washed away. Both antibacterial soap and regular soap is most effective when worked into a lather with warm water. When washing hands with either type of soap, you’ll have the best results if you scrub thoroughly and be careful to wash all areas of your hands (including the backs of hands and in between fingers) for at least 30 seconds before rinsing. Some people find it helpful to sing the “happy birthday” song or to recite their ABCs twice while washing so they know they’ve washed for long enough to most effectively wash away germs and bacteria. Now that you have a better understanding of the similarities and differences between antibacterial soap and regular soap, it’s also important to consider some of the potential pros and cons of using each. Many people opt for antibacterial soap for the added peace of mind in knowing that the soap’s formula contains ingredients that are specifically meant to kill germs and bacteria. Because of this, you’ll find that it is very common to see antibacterial soap used in hospitals and other medical facilities. If you shop for antibacterial soap, you’ll also have a wider range of products to choose from, as antibacterial soaps are much more common than regular soaps. This means it may be easier to find the brand you want at an affordable price or to find a specific scent/fragrance that appeals to you. On the other hand, it is worth noting that the FDA has found no evidence that antibacterial soap is any more or less effective than regular soap at killing off bacteria and germs. In fact, some even believe that the ingredients found specifically in antibacterial soap may be harmful with long-term use or that they may even kill off “healthy” bacteria on the skin. This, in turn, could actually make it easier to get sick and could make antibiotics less effective in treating certain strains of bacteria. Antibacterial soap also tends to be more expensive than regular soap or any other DIY cleaning solution, so you will pay a premium for those ingredients. In some cases, people may mistake antibacterial soap for being more effective or “stronger” against bacteria. As a result, they may not wash their hands as thoroughly or frequently as they should. From a cost perspective, regular soap without antibacterial ingredients added tends to be much less expensive, so it’s often a suitable option for those who are looking for cleaning products on a budget. Combine this with the fact that regular soap, when used properly, is thought to be just as effective at killing germs and bacteria as regular soap, and it’s pretty easy to see why regular soap can be a smart choice. 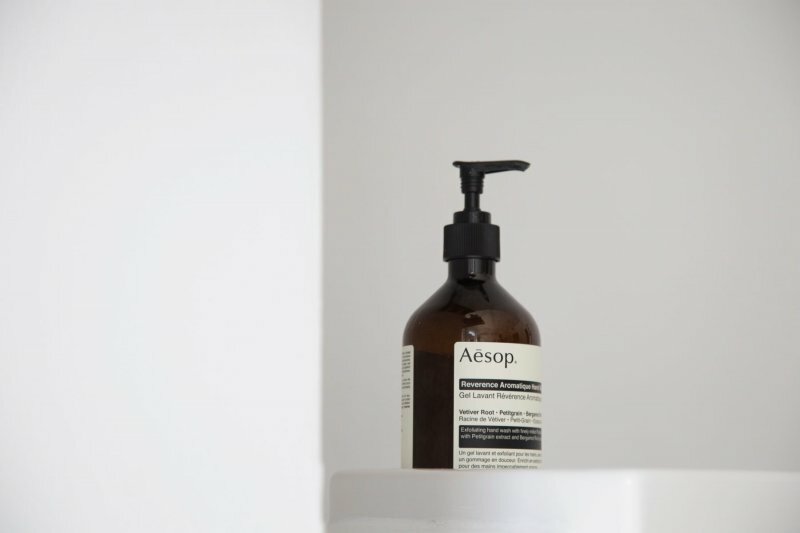 Because regular soap doesn’t contain triclosan or benzalkonium chloride, there are also no concerns over killing off good bacteria on the skin. On the other hand, because the majority of soaps on the market are antibacterial, you may have less variety from which to choose if you opt for regular soap. Furthermore, using regular soap effectively does require a bit more time and care, especially when washing your hands. Those without well established hand-washing habits may not wash their hands thoroughly enough for regular soap to kill off germs and bacteria. Which Type of Soap is Best For Your Needs? Not sure whether antibacterial soap or regular soap is best for your needs? There are a few questions worth asking yourself that may help you figure out which type to buy during your next trip to the grocery store. Start by considering your use for the soap; in most cases, general hand-washing will be the primary use for an antibacterial or regular soap. If this is the case, then either soap is a good choice so long as you know how to thoroughly wash your hands. If you’re using soap to disinfect other surfaces, an antibacterial soap may be the better choice. How Do You Feel About Triclosan? 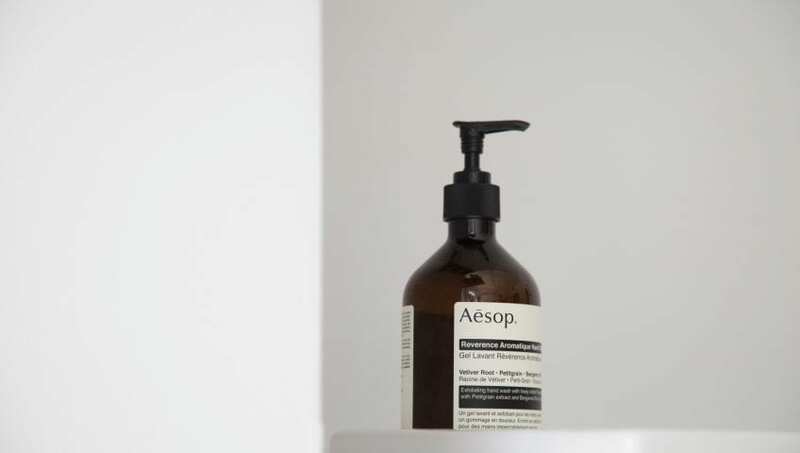 Antibacterial soap ingredients such as triclosan are surrounded by controversy, and the FDA has recently begun requiring that soap companies using this ingredient prove its safety. Some studies of this ingredient have found that it has been washing down drains and ending up in many streams and lakes—resulting in harm to wildlife. In fact, Minnesota even banned the use of this ingredient back in 2014. More research certainly needs to be done on Triclosan and its potential effects, but in the meantime, you may want to do a bit of your own research and reading to determine how you feel about using this ingredient in an antibacterial soap inside your home. If you feel uncomfortable about it, then it may be better to start using regular soap instead. For those on a tight budget when shopping for cleaning products, regular soap is almost always going to be the cheaper option unless you can find an antibacterial soap on sale or clearance. And if your home has multiple bathrooms that need bottles of soap, it can really add up to spend extra on antibacterial soaps. How Thoroughly Do You Wash? Hand-washing habits may also influence the type of soap that’s best for your household’s needs. Those with well-established habits should be able to get their hands just as clean with regular soap as they would with antibacterial soap. However, for young children and others whose hand-washing habits may not be as established, an antibacterial soap may give you added peace of mind because this type of soap requires less “work” to kill off bacteria and germs. Do House Cleaners Use Antibacterial or Regular Soap? When you hire a professional house cleaning service, one important question you’ll want to ask if what types of cleaning products will be used in your home. For cleaners who use soap, this means you’ll want to find if they use antibacterial or regular soap. 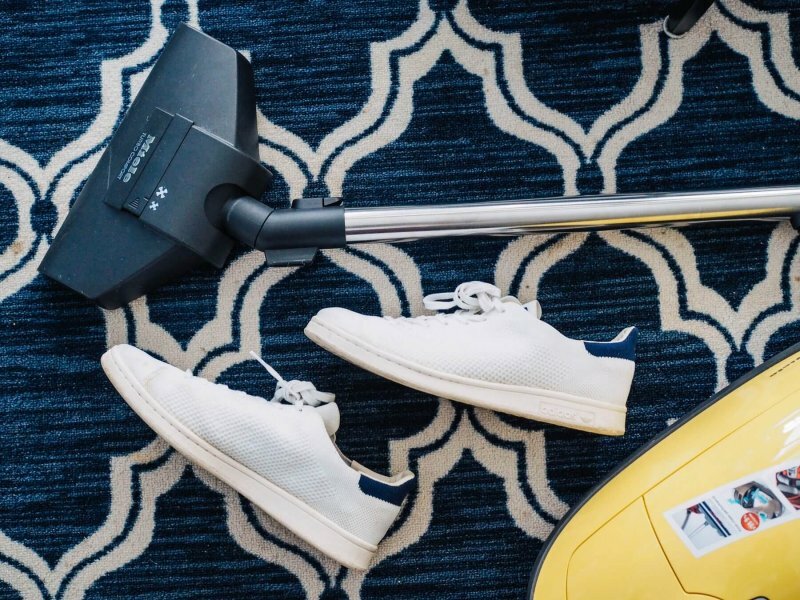 If you have a preference between the two, it’s also a good idea to communicate this to your house cleaner ahead of time; often times, professional house cleaners are happy to accommodate requests to use certain products. Maid Sailors, for example, offers the use of green and eco-friendly cleaning products upon request—and there is no additional charge for this service. If you’re like many people, you probably haven’t put much thought into the differences between antibacterial soap and regular soap. As you can see, however, the differences are notable and worth considering the next time you shop for soap and cleaning products for your household. Interested in professional cleaning services for your home? Maid Sailors can make your home shine! Contact us today to find out more about our services offered, products used, and pricing. A lot of people dread cleaning their house, and that results in the job being pushed back further and further. But cleaning up doesn’t have to be that ominous task. If you plan things well, you can spread out the work and keep your house tidy without needing to do a giant, exhausting cleaning job. These kinds of jobs always go smoother when you have a strategy and know how to organize your time. Keep reading to find out how to clean your home efficiently. “Any time you decide it’s time to clean, turn on some music for fun. 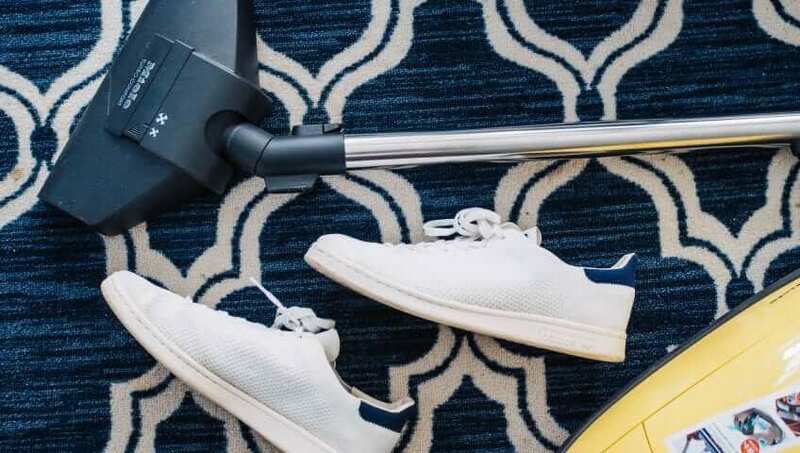 Having music, or even a podcast, one can really help keep you motivated and entertained as you clean,” writes Donna Sharp, lifestyle blogger at StateofWriting and big assignments. Whatever puts you in a good mood really, for a lot of people that’s lively music. One easy task to start with is simply picking up the clutter around your room. This can also be a great opportunity to look at the things lying around and decide if you really need them, or if they can be given away or thrown out. The fewer things you have, the less mess, and the fewer things to store or pack up when you move. There are some things that really should just be done every day, even if you don’t always feel like it. An obvious one is making your bed. 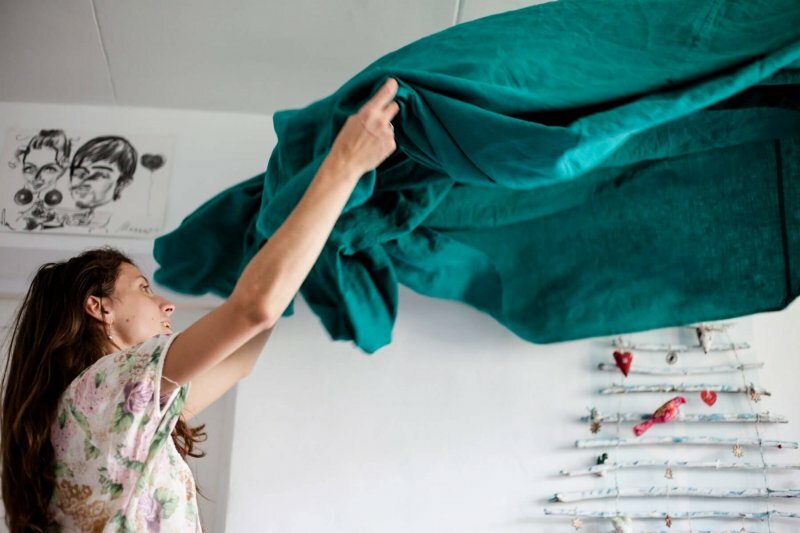 Making your bed is about more than just tidying up your bedding and pillows. 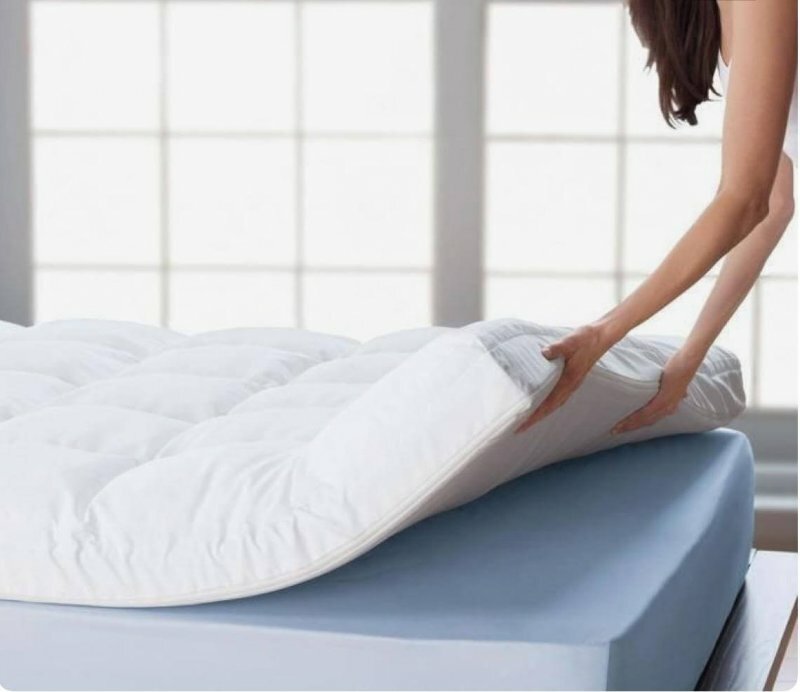 Once you get into the simple habit of making your bed, it becomes easier to move on to other cleaning jobs. You get that little sense of accomplishment and that’s powerful. Before you know it you’ll be loading or unloading the dishwasher, taking out the trash, and wiping down the surfaces in your kitchen. You might find it helpful to create cleaning checklists to keep on track. Study Demic and Academy advisor are all great online writing tools that can help you create and format your checklist. Dusting is important to keep a clean home, and it’s especially important to do this and improve the air quality if you have allergies. Try and give all your hard surfaces dust about once per week. If you’re having trouble reaching some spots high up, try tying a damp cloth on the end of your broom. Blinds can be tricky, but don’t let that be your excuse to skip over them. Try pulling on the string to close them all one way and you’ll find it goes a lot faster. Then just reverse them the other way and repeat. Don’t forget those hidden spots like the tops of ceiling fan blades, the top or your TV, picture frames, and all your cool, conversation-piece knick-knacks. Give every room a vacuum, beginning by checking to make sure your bags aren’t full. Don’t forget your upholstered furniture, it collects dust too. A lot of times you will find some lost socks and mitts you thought were gone forever. You might even find a quarter, the Holy Grail of checking under cushions, while you’re vacuuming. The bathroom is probably the most dreaded room for most people to clean. It can be pretty off-putting, but it’s got to be done, and who doesn’t love stepping into a sparkling clean bathroom? Begin by removing any bathmats and wastebaskets, and then giving it a good vacuum. Then you can remove all your soaps, shampoos, and other items from the shower. “Get some warm water all over the shower walls and tub. Use some tile and grout cleaner, remembering to let it sit for a while and do its job. Give everything a good scrub using some all-purpose cleaner,” recommends Kay Tolbert, interior design blogger at Academized and Paper Fellows. When you’re done, rinse it off and dry with a cloth. Spray cleaner on your vanity and give it a good wash. Scrub your sink as well, rinsing it out when you finish, and wringing out your cloth. Give the front of your cabinets a quick wipe down. Spray some glass cleaner onto a cloth and clean your mirror. Use the all-purpose cleaner to wash the floor and leave it to dry. While that’s drying you can throw your towels and rugs in the wash and replace them with clean ones. Cleaning isn’t something many people look forward to, but there are ways of making it more approachable and enjoyable. Put on some tunes to get yourself motivated. Stay on top of those regular chores and make them a daily habit. Do yourself a favor and keep your air quality high by dusting and vacuuming regularly. Don’t procrastinate cleaning that bathroom, just breaks it down into steps and tackle them one at a time. You’ll feel great once it’s all done. Freddie Tubbs is a lifestyle blogger at UK Writings and Boom Essays. He regularly shares his posts at online magazines and blogs, such as the Vault and Essay Roo. In the world of business, there are several tools which can be used to provide protection against financial loss. Both surety bonds and insurance offer a safeguard to individuals working in construction or certain trades, but there are subtle differences between the two which should be understood. If you’re working as a licensed contractor or tradesman, knowing what a surety bond is, how insurance differs, how each is priced, and the requirements for having one – or both – in place is a necessary part of operating a sound business, especially if you are operating an insured maid service. Here’s what you need to know about surety bonds and insurance. It is common to confuse a surety bond with an insurance policy. However, a surety bond works differently than insurance even though both offer a form of protection. With a surety bond, a contractor or tradesman purchases coverage from a surety agency which is meant to protect the project owner, not the contractor himself. This protection is to safeguard the project owner from fraudulent practices or incomplete work. When a claim is made against a surety bond, the surety agency holding the bond for the contractor or tradesman pays out the claim, up to the limits of the bond. Unlike an insurance policy, a surety bond claim is then repaid by the contractor back to the surety agency. Insurance policies for contractors and tradespeople differ from surety bonds in several ways. First, an insurance policy is not meant to provide protection to the customer of a contractor, but instead, it offers protection to the contractor himself. When damage to a building or project site takes place, or theft occurs, insurance coverage is there is help offset the financial loss. The customers of contractors and tradespeople do not receive any benefit from insurance in these cases. Additionally, insurance coverage benefits paid out to a contractor once a claim is made to have no requirement of repayment. The insurance company takes on the risk of loss, up to the limits of the policy coverage, and the contractor is protected should an event take place in the future. Several different types of insurance policies are available to contractors, including general liability, workers’ compensation, and builder’s risk insurance. 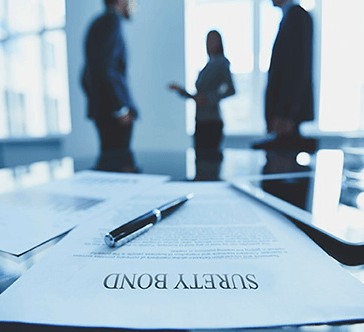 Above and beyond the differences in the protection offered by surety bonds and insurance policies, differences also exist in the pricing structure of each. Surety bonds are priced as a percentage of the total bond amount. This percentage is also determined by the risk factors associated with the contractor and his or her business. For instance, an individual with a bad credit history, including late payments to creditors, tax liens, and court judgments, will pay more than a contractor with a strong credit score and clean credit history. These financial factors play a role in surety bond pricing because a bond is essentially a form of credit extended to the contractor. Insurance coverage, on the other hand, is priced based on the amount at risk for the insurance company. For example, a general liability policy for a contractor ranges in price depending on the claims history of the individual as well as the total amount of coverage requested. Contractors who work on high-risk projects, those who have a long history of claims made against other policies, and those who have been in business a short amount of time will pay higher premiums than contractors who do not show these traits. In nearly all states, counties and cities require licensed contractors to secure a surety bond to operate their business legally. The amount of the bond varies greatly from one location to the next, making it necessary for contractors and tradespeople to look into their state’s requirements for bonding. Insurance coverage is not always a requirement for contractors, but it may be a need regardless. Insurance policies can significantly reduce the risk of financial loss to the business, helping contractors stay afloat should a disaster or theft take place. 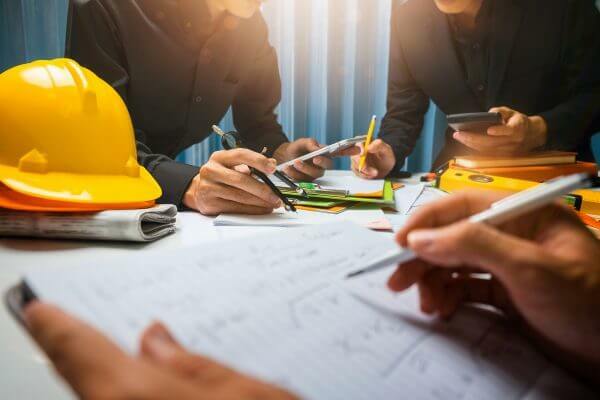 Construction contractors and tradespeople need to evaluate their business needs to determine whether a surety bond, insurance coverage, or a combination of the two protection strategies is needed. It is also necessary to determine the cost of a surety bond and insurance and plan ahead for this expense. Having the right protection in place not only satisfies legal requirements to operate a business, but it also lays the foundation for safeguarding project owners, customers, and the business over time. The ducted air conditioning technique has turned out to be a great choice, especially when regulating temperatures of different rooms in the same building. The systems are designed to consume different amounts of energy depending on the task intended to perform. Ducted air conditioning installation is one of the most important home appliances that need to be set up in a house. It is important to air ventilation in the house. 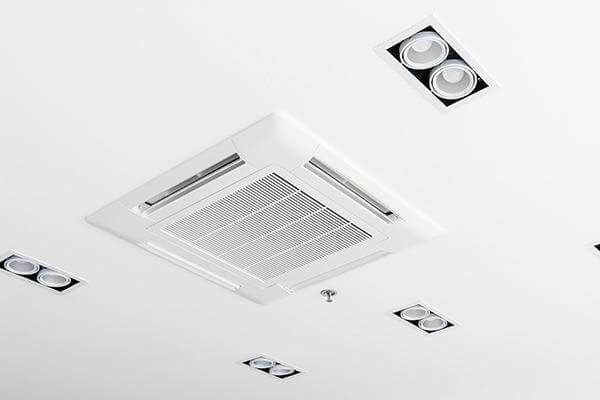 The reason for this is that the ducted systems are renowned for its discreet and low key nature which means that the consumer will be able to install this style within their home and not have to worry about it. Purchasing and installing an air conditioner is the best way to combat the hot summer weather as ducted air conditioners are easy and the best cooling devices available today. This type of cooling system is so incredibly popular that it is used in many commercial buildings for its effectiveness. Common applications for this powerful cooling systems include the multi-level type of buildings, shopping complexes, and hotels. When compared with other air conditioning systems ducted air conditioners typically perform much better overall. Ducted air conditioners actually based on the outside environment. People also want that they live in the house in a comfortable way. In the hotter months, they must do something in their homes as the hot air will be reduced and go outside and then the temperature inside become cool. So if you purchase fans also then the better option is to take the small air conditioner that sits in the window in the living room. Next, because the bedroom is stifling, another portable unit is set in the bedroom’s one window. Then, several more fans are purchased to circulate the cooler air around. But, as time goes by these homeowners find that the small cooling units freeze up or do not put out enough cool air. The fans are most effective when strategically placed in the walkways. Thus, on a regular basis, someone is tripped and there are falls and cords ripped from electric sockets! Having such an efficient cooling system begs the question of what the benefits of built-in air conditioning systems could possible. Home air conditioning provides many benefits over running fans or even the traditional air conditioning unit that is installed via the window. For one thing, home air conditioners are centrally controlled. Unlike window limited units these home air conditioning have the capability of cooling the entire home at one time via an air duct system that pumps as the air and evenly distributes it throughout the house. With the window units, they are not only becoming obsolete but they are limited in their usage too. The benefits of air conditioning systems that are built-in include saving money which you can use on a same day cleaning service. Often that the ducted air conditioner circulating the cool air in every room of the home and save more electricity than the multiple portable fans and AC. This is the one unit that saves the electricity is more effective at keeping all the rooms of the home cool. A further saving of electricity occurs because these units have a very accurate temperature gauge that automatically adjusts to temperature fluctuation. This temperature gauge is extremely helpful when the weather is unpredictable. 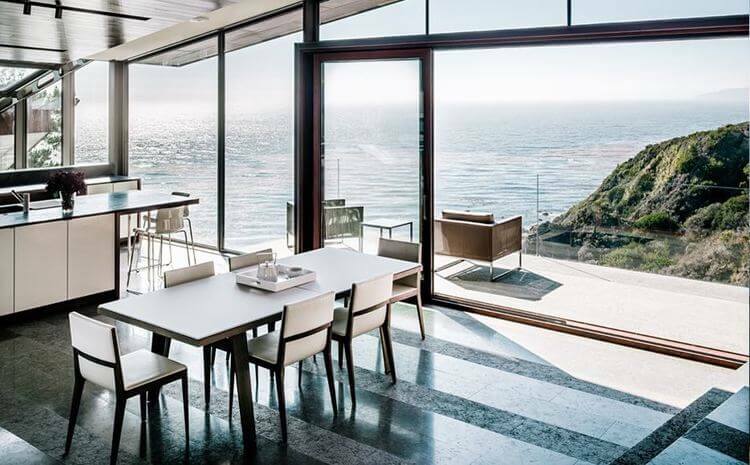 These built-in systems where the air is quietly circulated all through the house take up less indoor space leaving windows and walkways free. The rooms are kept at a comfortable temperature level desired. Also, the buyer can be assured that the professionals will install a trusted brand that will be reliable and function well for years to come. There is also health advantage by use to these units, which include the better air quality comes with the temperature controlled cooling over the running fans. Home units have installed the filtration systems to trap the air dust and other polluting particles to give a cleaner more breathable environment. This helps against chronic disorders such as asthma, coughing and sneezing and lessens the chance of sickness. The air we breathe is important as home air conditioning units are sure to provide a safer option for all. The home air conditioning systems with air ducts in every room tie in some health advantages. For instance, those most vulnerable to heat extremes will not have their more fragile immune system stressed. These vulnerable ones are children, elderly and those with chronic illness. Also, there is the Air filtration that comes with every AC. This cleaner, filtered air is what is circulated through the home and is especially needful for those who have allergies or live in areas with poor air quality. So the benefits of home air conditioning systems that are built-in do become evident as electricity costs are down and the air is quietly comfortable and filtered. Another thing that is often unnoticed is how home life is highly improved since family members are not cranky in a hot, stuffy house! Indeed, more and more homeowners are choosing to invest in these silently efficient indoor climate controllers.